Like every other Bollywood star, Arjun Kapoor too was deep in the holiday spirits. Not only was he seen at Christmas parties, he was also busy with his sister, Anushla’s birthday which was a few days ago. 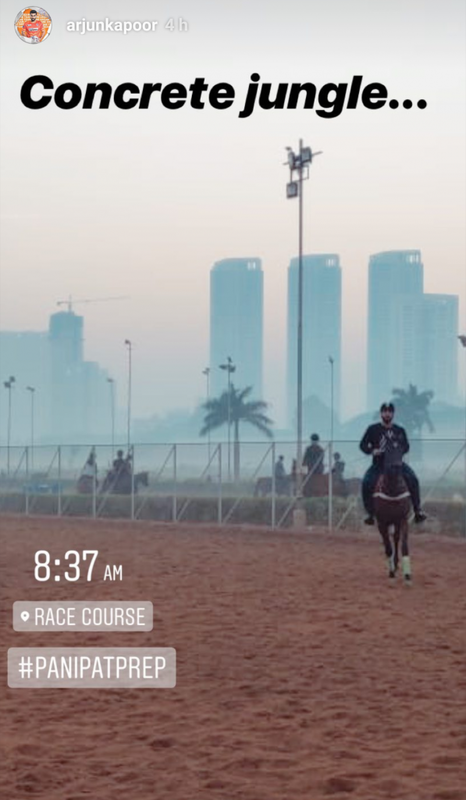 But now, Arjun seems to have work on his mind which is why the actor woke up long before the sun could rise and was seen at the Race Course in Mumbai preparing for his upcoming movie, Panipat. The actor will be seen in the period drama directed by Ashutosh Gowariker. For his role in the movie, Arjun had to learn how to ride a horse. Hence, the actor got down to the race track and began preparing for his role. 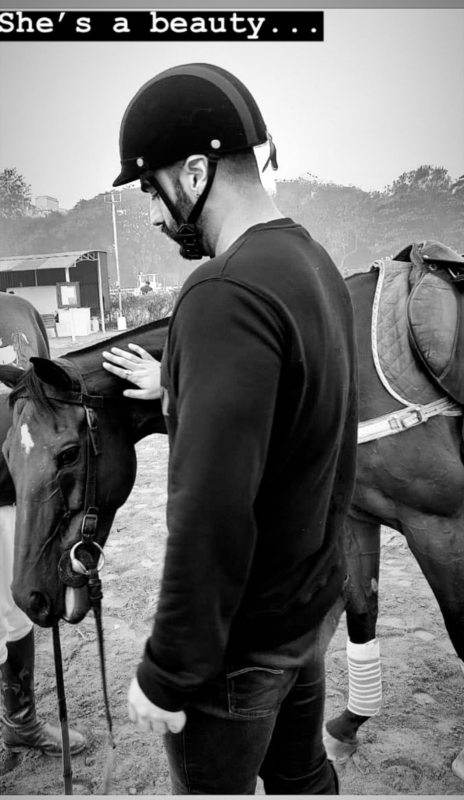 The actor was seen all decked up and interacting with the horse before he got on a horse and began his preparation. Panipat has an interesting line up. Apart from Arjun, the movie featuring Sanjay Dutt and Kriti Sanon in the lead. Panipat is slated to release on December 6. It is reported that art director Nitin Chandrakant Desai has been roped in to recreate the Shaniwar Wada at ND Studios, Karjat. Next article‘Mastani’ Turns 33 Today. Let Us Look At The Best Roles Played By Deepika Padukone.